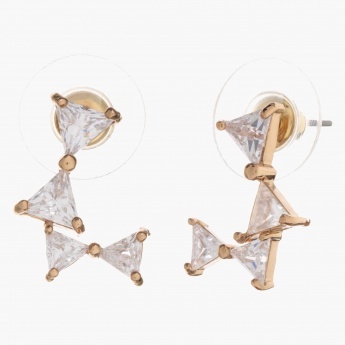 Lend yourself a trendy appearance with this enticing pair of earrings. It sports dainty triangular crystal embellishments adding to its stylish appeal. Featuring an exquisite pattern, it is a closet must-have.